Ford is talking up the colors that it will offer on the 2017 Ford GT. 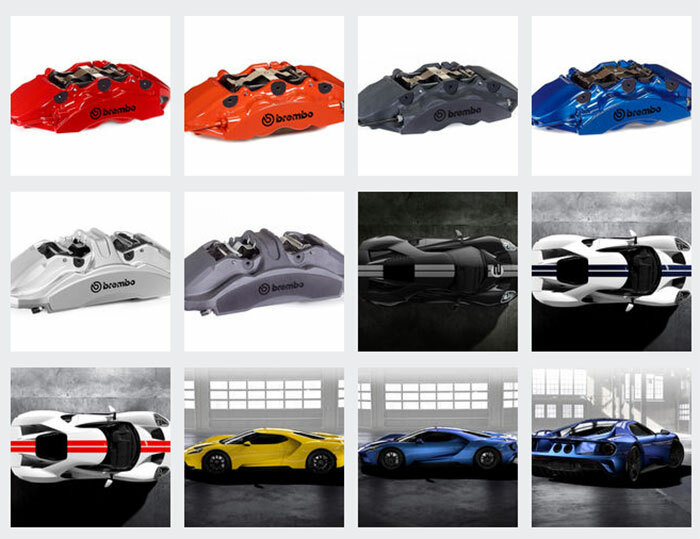 There will be eight different hues available and drivers can choose the color for the brake calipers. Ford plans to make 250 GTs for 2017 and those lucky enough to win the right to buy one will have no trendy colors to choose from. Color options include white, red, yellow, black, gray, silver, and matte black. “These colors aren’t trendy, because Ford GT isn’t a trendy car,” says Barb Whalen, Ford design manager, color and materials, in a release. “It is a classic – a veritable race car for the road.” I’m all in for the matte black version of the car; it looks fantastic set off with one of the glossy stripe colors. The carbon fiber trim can be had in gloss, matte, or shadow black paint. Standard black calipers can be replaced with calipers in body color or a contrasting color. Buyers can get touch of color in the seat backs and dash with the instrument panel in a color matching or contrasting the calipers and other color options. Matte black with orange stripes and brake calipers would be my choice.